Home Electronics & Gear Electronics Wondering how to make your boat wireless? If you’ve ever wondered how to make your boat wireless, wonder no more. 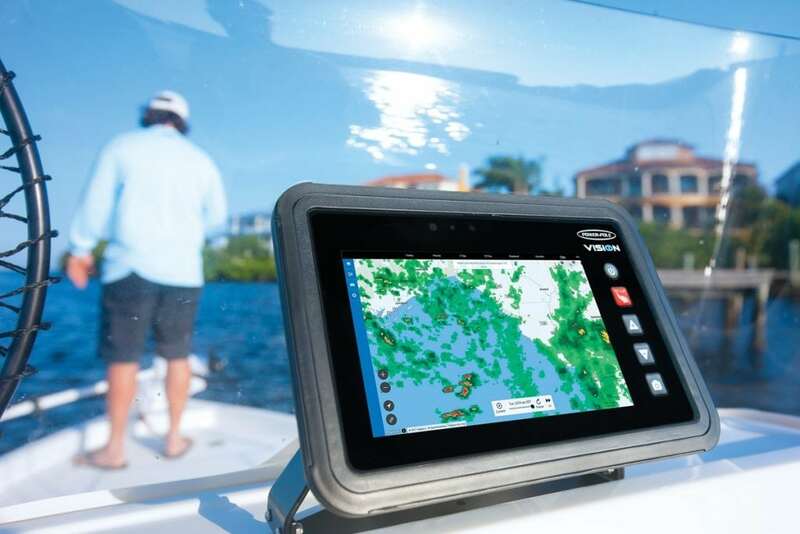 You CAN cut the cords: Wireless control and monitoring are available with Power-Pole’s all-in-one marine tablet. Remember when wireless technology was unproven, unreliable and untrustworthy? That was a long time ago and now, wireless is the only way to go. 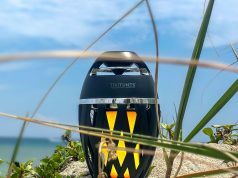 When Bluetooth came along, we embraced its one-to-one connectivity, and it’s become one of the most important tools on land and sea. 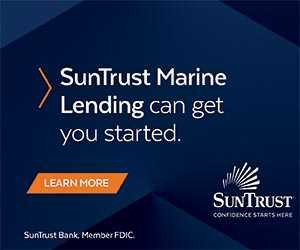 As technology has evolved, that one-to-one connectivity has now become too limited and boat owners want more. 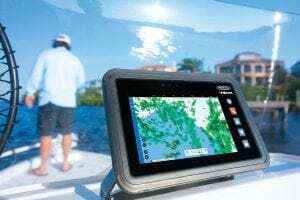 The C-Monster 2.0 wireless protocol developed by JL Marine, the parent company of Power-Pole brand products, offers wireless multi-point connections and display with its VISION tablet. 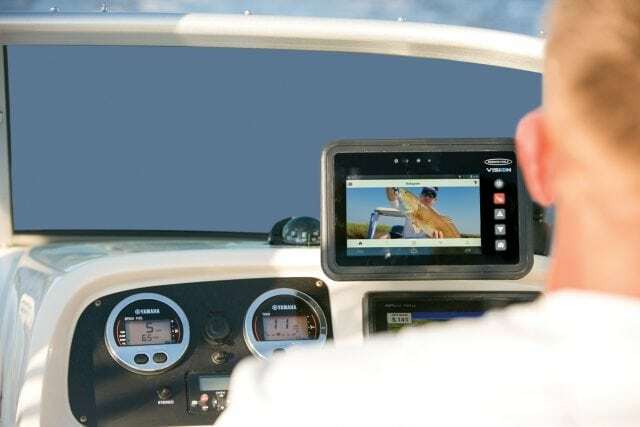 The VISION tablet measures seven inches wide, runs on the Android platform for full web access and is NMEA 2000 capable. 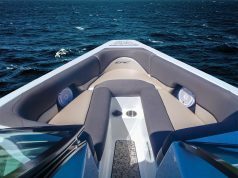 It is powered by the boat’s 12-volt cranking battery and has a line-of-sight range of up to 100 meters. That means the signal strength is 10 times stronger than Wi-Fi and does not require a router. 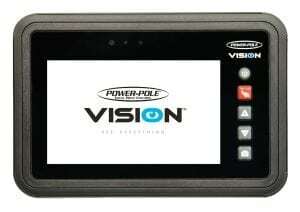 The tablet is one of two new products introduced by Power-Pole last fall. The other is the CHARGE Marine Power Station that won a 2017 IBEX Innovation Award. It’s an AC/DC and bi-directional DC/DC all-in-one marine battery management and charger system. The tablet controls the whole boat, so you can ditch the wires. Power-Pole first developed the product for its anchor line. 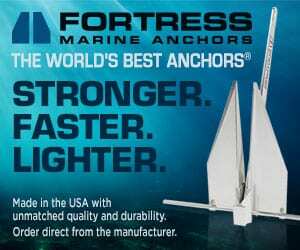 The Power-Pole shallow water anchors allow anglers to stop and hold their boat quickly with the touch of a button. Company founder John Oliverio and the JL Marine engineering team first started working on the C-Monster protocol five-plus years ago to control the Power-Pole anchors, and now the 2.0 version is offering many more applications, including the VISION tablet. The high bright screen on the VISION tablet is easy to see in full sun from any angle, even when wearing polarized sunglasses. The unit features daylight and nighttime settings, and enhanced map viewing technology allows the user to clearly see maps and satellite imagery. The enhanced imagery will also allow the user to see how the shoreline differs from the grass line. 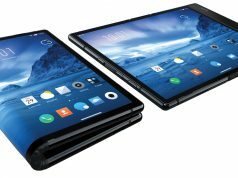 Another feature is the swipe-down Water Shade, which protects and locks the screen against water spray that might activate or change screen settings. This is helpful when running or in the rain. The VISION unit is water resistant, rated at IP67, has three mounting options (flush, gimbal, and ram), and the built-in camera allows hands-free photos of you holding that big catch.